'Why on earth do young people want to do that?" I was hovering over my peanut butter parfait trying to get the perfect angle on my camera phone, when a dinner companion interrupted my Mario Testino moment. The truth is, I couldn't answer him. Well, I couldn't answer him without sounding completely ridiculous. It is what it is, I guess. It's called 'Instagramability'. You might not have come across the word but write it down - you'll need it to understand this mad new world we live in. Used to describe something that would look nice on your social media page, it was recently found by one survey to be the single most important factor for millennials when they're choosing a holiday destination. Think about this: that's before weather, value for money or night-life. A recent study found that 40pc of 18-33 year olds will choose a travel destination based only on how Instagramable it is. I've been writing travel features for eight years and my trip to Barbados is the first time I have come across the phenomenon being openly used by the organisers behind the marketing of the trip. There are few places on earth more Instagramable than this little island in the Caribbean. Home to Rihanna, some of the world's most beautiful beaches and 43pc alcohol content rum, the island nation welcomes around half a million tourists each year. The only problem is, once you arrive, you're having such a good time (see aforementioned rum), you'll forget to take the damn phone out of your pocket. 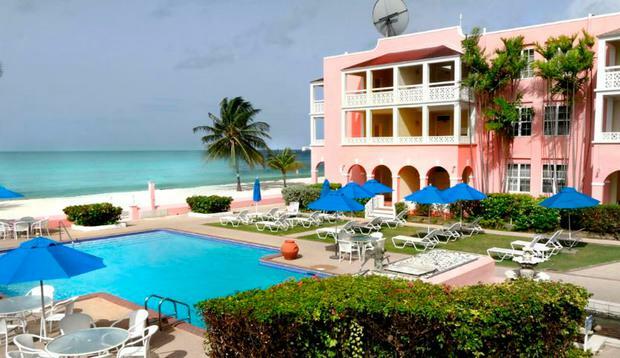 I stayed at The Southern Palms Hotel, a candy-pink-painted Colonial-style resort tucked away among palms and lawns. It looks out onto a beautiful white stretch of sandy beach, and on my morning walks to the gym, I came across the odd giant tortoise nestled under a palm tree. Although it's incredibly peaceful here, it is very near the main strip at St Lawrence, so it's perfect if you want a stress-free stroll to the local restaurants, wine bars and night venues. The restaurant offering on the island is one of Barbados's highlights, so listen up foodies if you're keen on dining out in settings that will take your breath away. Champers restaurant is known as one of the best on the south coast and offers an abundance of fresh seafood with generous portions. Check out the grilled Atlantic salmon served with curried cauliflower and potato puree with market fresh vegetables and coconut emulsion. Magnificent as Champers is - it lived up to all my expectations - it is almost trumped by the restaurant at the Animal Flower Cave. Without doubt (and I've been blessed while wearing my travel writer's hat to have experienced more than my fair share of beautiful places around the world), this restaurant has the most breathtaking views I have ever witnessed. The setting is magical. It sits on the edge of rugged cliffs, meaning you are surrounded by wow factor while you enjoy your meal. Located on the most northern point of the island, it enjoys a panoramic view of more than 180 degrees of the ocean horizon. Book in advance and reserve a table at the edge of the cliff to make your visit extra special. Reasonably casual and good value, the Animal Flower Cave Restaurant nevertheless has excellent food. The Bajan fishcakes and fresh catch of the day were both incredible. Another eatery worth checking out is Lobster Alive. And yes, it does exactly what it says on the tin. So if you're vegan or vegetarian for ethical reasons, look away now. Their big Caribbean lobsters are caught by scuba divers off the nearby Grenadines islands and flown to Barbados alive by private plane, so diners can enjoy them in what is a quaint and cosy spot with real atmosphere (there's a cracking jazz band on hand to play out your night), in an open layout on a beach deck with tables in the sand. Throughout the night the in-house lobster man jumps in and out of the live lobster tank, fishing up the guests' orders. The beers are cold and the menu is very simple, letting the fresh ingredients speak for themselves. Team your meal with a couple of cocktails to round the night off perfectly. Even writing this makes me long to be back. The Animal Flower Cave Restaurant mentioned earlier is a must-visit even aside from the food, because it is situated beside the most beautiful attraction in Barbados - the Animal Flower Caves themselves. So what's an animal flower? Tiny creatures, also called sea anemones, which live below the waves. When you put a finger out to touch the colourful 'flower' (made up of tentacles), the animal immediately recoils to protect itself. The 'flower' then waits a while before emerging again. There's a nice romantic story behind the tourist spot itself. The land has been owned by the Wards (a family of Irish origin) since the 1920s. Back then the original Mr Ward was engaged to a lady from Nova Scotia who, when homesick, would visit the clifftops at North Point to feel closer to home. Mr Ward often brought his fiancee to sit on the cliffs, to cheer her up. The man who owned the land at the time was a plantation owner who could see no commercial use for such a rocky terrain facing the sea, so when the young couple married - and having seen them enjoy the view so often during their courtship - he gave the land to them as a wedding gift. The intrepid young couple built a bar on the clifftop and their family-run business later expanded to include the restaurant and cave expeditions. Descending into the cave, you step into an underground place of peace and spiritual well-being, on to a coral floor that is 400-500,000 years old. On fine days, you can take a dip in the pools inside the cave and make your way over to one of the 'window' openings, to gaze out over the sea and take in the spectacular view. Billy Ocean fans will recognise the setting from the singer's The Colour of Love music video, which was filmed here. The cave has also been the setting for some of Rihanna's photo-shoots. The global superstar's childhood home in Bridgetown is also a must see. Believe it or not, her mother still works in a local clothes store (we checked, but alas she wasn't in!). Finally, you can't leave the island without taking part in two special day trips. 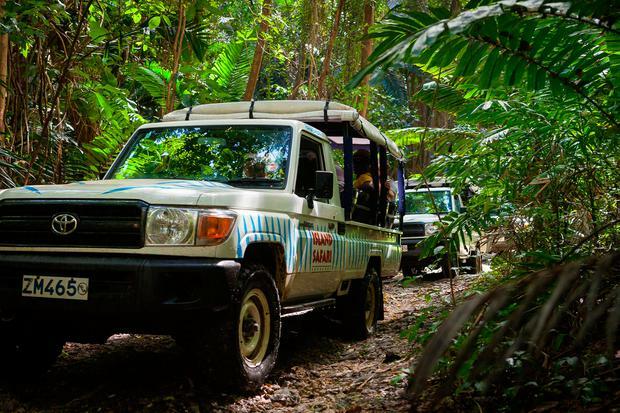 The first is an island safari, a jeep tour of Barbados. The only way to see the island from amazing heights is to zip around from point to point in an open-topped 4x4, drinking the famous Barbados Mount Gay rum punch cocktail and listening to local Calypso beats. You get to taste fresh papaya on the roadside, listen to a special romantic poetry reading on a mountainside and hear one of the local guides take you through a hilarious run-down of Barbados culture and history - tales which you are guaranteed not to find in any official guide book. The second must-see is the Cool Runnings Catamaran Cruise. You are well advised to have a good breakfast before this one - they don't do parties in Barbados by half measures. Sail the Caribbean on the sunset cruise - you can opt for a private cruise or go for a shared boat and have an all-day party on the water, fuelled by alcohol if you wish, along with bikini-clad tourists from around the world. We stopped off at picturesque points for a spot of snorkelling, and by the time the sun went down the entire boat was up and dancing to the DJ's tunes. 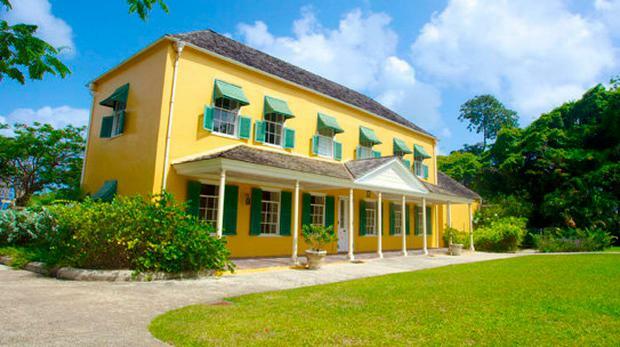 A beautifully restored 18th-century plantation house where George Washington lived in 1751. Guides regale you with tales of the first US president. See barbados.org/george_washington.htm. A six-acre garden of orchids, heliconia, hibiscus and more. Exotic flowers and trees are complemented by a stream which forms enchanting pools and waterfalls. Flights: British Airways (ba.com) flies from Gatwick to Barbados daily during the summer and 12 times a week during the winter. Return flights start from £571. Accommodation: Niamh stayed at the Southern Palms Beach Club (southernpalms.net). All the Beach Club bookings go through tour operators - such as British Airways Holidays, Thomas Cook etc. Starting price per person sharing for seven nights is €800. The Dragon World Championship and Barbados Beach Tennis Championship take place in October, while the Food and Rum Festival is staged in November. For more info see visitbarbados.org.